Someone is watching Hope Miller. She’s sure of it, but neither the police nor her boyfriend believe her. Despite growing up in foster care, Hope has always seen the best in people—until now. When she gets mugged during her third trimester, her life gets turned upside down. With her due date just weeks away, she’s worried she can’t keep her baby safe in this dangerous world. Hope’s sister, Claire feels like all of the good stuff is behind her—love, career, and motherhood. She’s had them and lost them. Will meeting a grad student and the baby he’s caring for offer her a second chance at happiness or is she fooling herself? Teenager Sierra has been adrift and struggling ever since she was abandoned as a newborn. When she chases down Hope’s attacker, it feels like the two women were destined to meet. Will they help each other overcome their traumatic pasts or will both of their lives become further intertwined in a living nightmare? Read BITTERSWEET HOPE to find out! At age thirty, Hope Miller has mixed feelings about her unexpected pregnancy. Sure, she loves fostering shelter dogs, but she never imagined herself as a mother. Anxious to be an aunt, her sister starts pressuring her to be someone she’s not. Her new friend wants her to stay fun and unencumbered. When Hope’s ex says he wants back in her life, she feels like it might be what’s best for her baby. Pulling away from her sister, Hope spends more time with her new friend and risks letting her ex break her heart all over again. When social studies teacher, Claire Tillman, finds one of her seniors sleeping in his car, her maternal instinct kicks in. Despite her crumbling marriage, she welcomes Jaxon into her home. She even offers to help him find the father he's never met so he can come to Jaxon's high school graduation. As she follows Jaxon’s journey, she realizes the story of her own father’s death doesn’t add up. He died accidentally when she was young and yet her mother is still bitter about it. Digging into her own family history, she discovers that her father had a secret that turns her life upside down. Will Jaxon and Claire regret finding out who their fathers really were? Read 5 O'CLOCK SHADOW to find out! Bethany Morris always puts everyone else’s needs first. That’s why when she got pregnant in college, she had the baby in secret and placed it for adoption. Sixteen years later, she patiently waits for her live-in boyfriend to propose and wonders if she missed her one chance at motherhood. Life gets complicated when she runs into the baby’s father, Parker, and he reveals that he has the same disease that took his father’s life. Does Bethany owe it to Parker to tell him that he has a child? Should she track down the daughter she’s never known just to give her bad news? Risking the comfortable life she’s built for herself, Bethany embarks on a journey to face her past. Along the way, she realizes she’s not the selfless person she thought she was. Enjoy A WEEKEND GETAWAY today! When Bethany meets the little girl who lives next door, it stirs up a longing she’s been trying to quell. At 35, Beth has a job she enjoys and a sweet boyfriend who cannot promise her tomorrow. She tells herself no one gets to “have it all,” but little Kaylee seems to need Beth just as much as Beth needs her. Beth’s boyfriend, Parker, loves her so much he’s decided to leave her. Bit by bit, he pulls back, figuring it’s better to break her heart now rather than later. If he were gone, he’s sure Beth would see that the family next door has room for one more. But Parker isn’t the only one acting strange these days. Beth starts to suspect that the reason Kaylee’s father keeps pushing her away is because he’s hiding something. A secret big enough to destroy a family. Discover NEXT DOOR SECRETS today! Single mom Bethany Morris loves her 6-year-old foster daughter, Willow, as if she were her own. When Willow’s real mother is released early from prison, Bethany isn’t ready to let the little girl go. She wonders if people really can change and tries to justify her reluctance to say good-bye by digging into the mother’s shady past. Across the state line, Willow’s half-sister lives with her dad, Conner Walker, a man who never stays in one place for too long. When he returns to the town where he grew up, he realizes he’s been cheating his daughter out of a place to call home. For the first time in years, he wonders if he should keep running or risk making a stand in court. To what lengths will Bethany and Conner go to keep their families together? Read A MOTHER'S CONVICTION to find out! 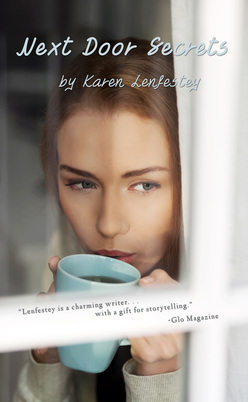 "Lenfestey is a charming writer. . . with a gift for storytelling." Kate Hopper can list a million reasons why she doesn't have kids. No, more like reasons why she shouldn't have kids: genetics, a demanding career and ultimately, the fear that she wasn't cut out to be June Cleaver, Carol Brady or Claire Huxtable. TV moms always make it look so easy, but Kate knows better. When Kate's sister faces death, Kate is willing to say anything—even promising to have a baby. Should Kate risk everything she has for the unknown? 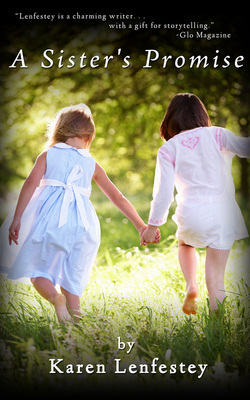 A Sister's Promise is available in paperback and for e-readers. Joely Shupe had a vision of what her thirties would look like: she’d be the mother of two, finger painting with her kids during the day and cooking dinner for her loving husband at night. Instead she’s a single mother struggling to provide for her young daughter. To make matters worse, her ex-fiancé, Jake, shows up--unemployed and reeling from a personal tragedy. He claims he’s ready to parent the daughter he abandoned five years ago. Joely is more interested in Dalton, a devoted father to his own son, who offers to take care of her the way no man ever has. Should Joely risk her daughter bonding with someone new or with the man who broke her heart? One thing is for sure: this is not the life Joely expected. 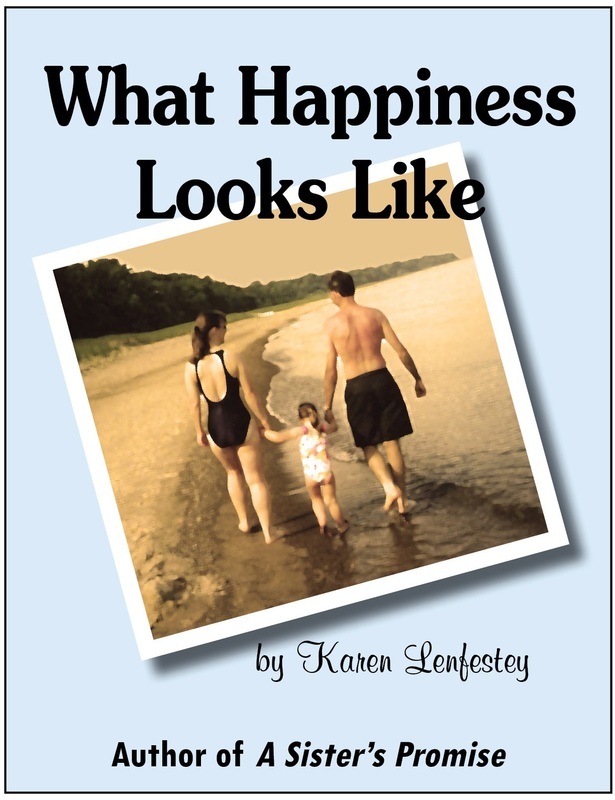 Is it time to adjust her idea of what happiness looks like? Buy What Happiness Looks Like today! 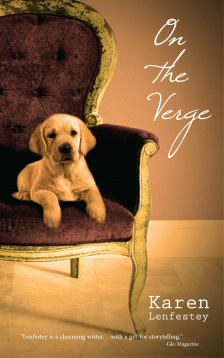 "On the Verge is highly recommended." Val Taylor loves three things: her fiancé, her seven-year-old-son and houses with character. Soon after she marries Nathan, a man who hopes to be as good a father as he is husband, he falls down a flight of stairs. As Nathan recovers physically, it becomes apparent that he is no longer the same man. On impulse, he brings home a puppy even though their landlord doesn't allow pets. Then he buys a 1920's fixer-upper that they cannot afford. Together they try to repair their once grand home as they struggle to rebuild their relationship. When Val’s husband changes into someone completely different, how long should she wait for her true love to return? What if he never does? Read On the Verge to find out! Diane acted on instinct when she broke up a fight at the inner-city school where she teaches. When the superintendent suspends her, Diane returns to her hometown of Foxworth. Almost immediately she finds herself tracking down her old boyfriend, Tim. Just seeing him rekindles her love and she realizes that her life, just like her tandem bike, was made for two. Unfortunately, Tim keeps pushing her away, claiming it will never work out. After all, she still wants to live in the city and he can’t imagine leaving his family’s bakery. But Diane discovers there’s more to it than that. Tim has been hiding in this small town because he has a secret. Read the 99¢ novella Made for Two during your lunch hour for a sweet escape!